Be a good storyteller. A photograph is an opportunity to create a visual narrative about what you want to communicate to the viewer. Look for elements that will instantly tell a story. Create emotional content through your composition that will connect with others. Avoid distracting backgrounds by isolating the subject. 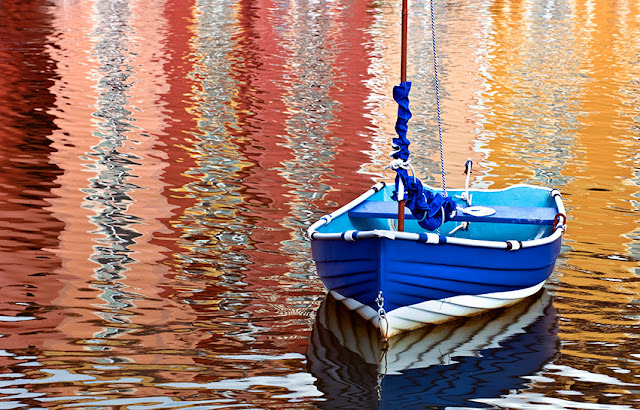 For example, isolating the boat, and composing so that the reflections surround it, gives the image a suggestion of someplace vibrant and beautiful. This is one of the reasons I love reflections, they can create a magical look with the simplest of subjects!